Novi, MI (July 05, 2018) Chameleon Power, the leading provider of integrative software visualization technologies that “motivate homebuyers to purchase”, was excited to exhibit at the 2018 Pacific Coast Builders Conference June 27-28, 2018. Together with 349 different homebuilder exhibitors, Chameleon Power showcased the Chameleon suite of 2D, 3D, VR and AR technologies that can lead to a 97% session time increase and a 34% conversion rate increase on your website. 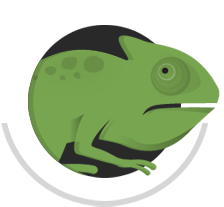 The Chameleon Power suite of builder tools are already featured on 115 different builder community installations. These tools help to create higher quality leads and reduce the sales cycle, design cycle and entire builder process for the homebuilders who currently utilize them. This means you can spend less time on each project, and spend more time generating revenue and selling additional homes! In fact, those who use our software have seen a 75% closure rate in the selling process. Viewing the selections in your own home instills confidence in design and decorating decisions, therefore simplifying the process and making your job easier! The Pacific Coast Builder Conference provides high-level educational conferences, various networking opportunities and an exhibitor floor that features the latest and greatest in the homebuilding industry. Attendees of PCBC were given the chance to meet and interact with important members of the industry, and walk through the exhibitor floor, which featured an exciting marketplace that featured the best innovations in homebuilding to date.